Two exciting opportunities came up for me this week. 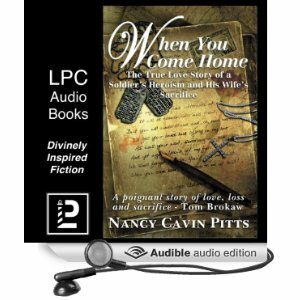 First… When You Come Home came out as an audiobook! The audiobook, along with the print and Kindle editions, is now available on Amazon. My book is now an audiobook! The second big event that happened this week is that I was contacted by my colleague Carol Heilman, a fellow Lighthouse Publishing of the Carolinas author, and asked to write a guest blog for Memorial Day weekend on her blog! The blog is “Carol Heilman and Friends” , and my post is entitled, Selfless Tribute. I hope you get the chance to scoot on over to Carol’s page and check it out!